Heeft u een vraag voor Cherry Midtown Hotel? Cherry Midtown Hotel in Vrije Haven Zone, Subic (Zambales) is een populaire keuze onder reizigers. Het hotel ligt niet zo ver van het stadscentrum: de afstand is ongeveer 1.6 Km en het duurt normaal ongeveer 13 minuten om het vliegveld te bereiken. Dankzij de praktische locatie liggen alle belangrijke trekpleisters in de buurt van het hotel. De faciliteiten en diensten, geboden door het Cherry Midtown Hotel, garanderen een plezierig verblijf voor gasten. Gasten kunnen gebruikmaken van hotelfaciliteiten als 24-uur receptie, wi-fi in openbare ruimtes, parkeerplaats, roomservice, restaurant. Ervaar kamerfaciliteiten van hoge kwaliteit, inclusief plasma tv, draadloos internet (gratis), rookvrije kamers, airconditioning, verwarming, om tot rust te komen na een lange dag. Daarnaast garanderen de talrijke recreatieve mogelijkheden dat u zich tijdens uw verblijf kunt vermaken in het hotel. Fantastische faciliteiten en een uitstekende locatie maken het Cherry Midtown Hotel de perfecte uitvalsbasis om van uw verblijf in Subic (Zambales) te genieten. De accommodatie biedt alleen een extra matras aan, en geen opklapbed. Het hotel is centraal gelegen en goed bereikbaar in het centrum. Dat is ook de reden om het centrum meteen in te gaan aangezien het hotel weinig te bieden heeft. Een erg karig ontbijt in een sfeerloze eetzaal. Veel van het eten was niet meer verkrijgbaar. Het personeel was redelijk ongeïnteresseerd (mobieltje bij de receptie was blijkbaar belangrijker dan de gasten) en deed niet te veel moeite om het de gasten naar de zin te maken. Second time to stay at Cherry Midtown. Love the place because of the location. It's tricky to get to the parking area though because their pathway to the parking was under construction so we had to go around. Good thing the security guard was alert and saw us calling for his attention :) We love that the place is close to the public market, and many other establishments. 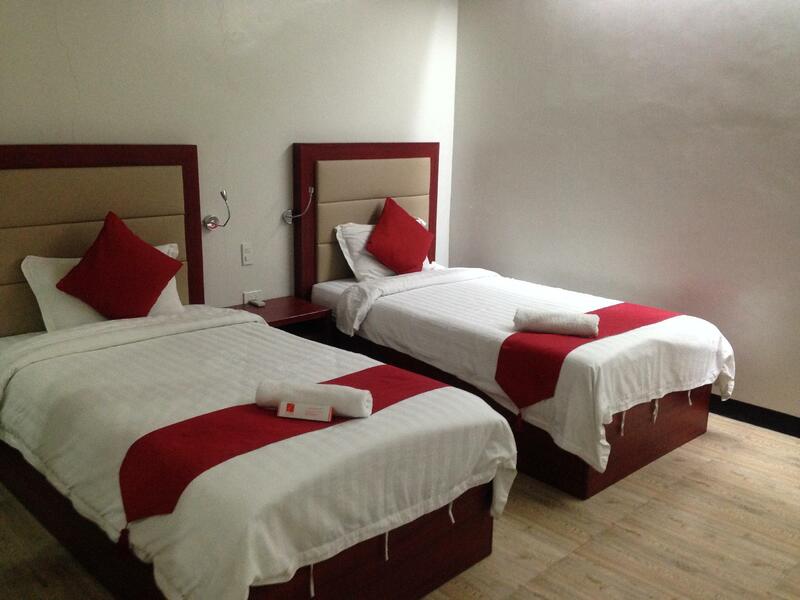 The rooms are very spacious and everything is working properly. Some things that the management could attend to are: issue of small bugs (not that big of an issue, so it could be taken care of). The CR's need more cleaning. The toilet wasn't brushed properly - you could see the water set and leave a stain on the toilet. Apart from that, it's a great experience, great place to rest and great value for money. Location is the reason you'd like to stay here as it is near public modes of transportation. The amenities are basic... there's no free bottled water or ref but they post drinks for sale (bottled water is Php20)... the hallway floor tiles on the floor assigned to us (5th floor) are cracked. Enjoyed our stay at the Cherry Midtown hotel-the twin bed room we had was big compared to other hotel rooms we've stayed in previously.And was well appointed eg. LCD TV,split system air con,etc. Would definitely stay at the cherry midtown hotel should I visit olongapo again. 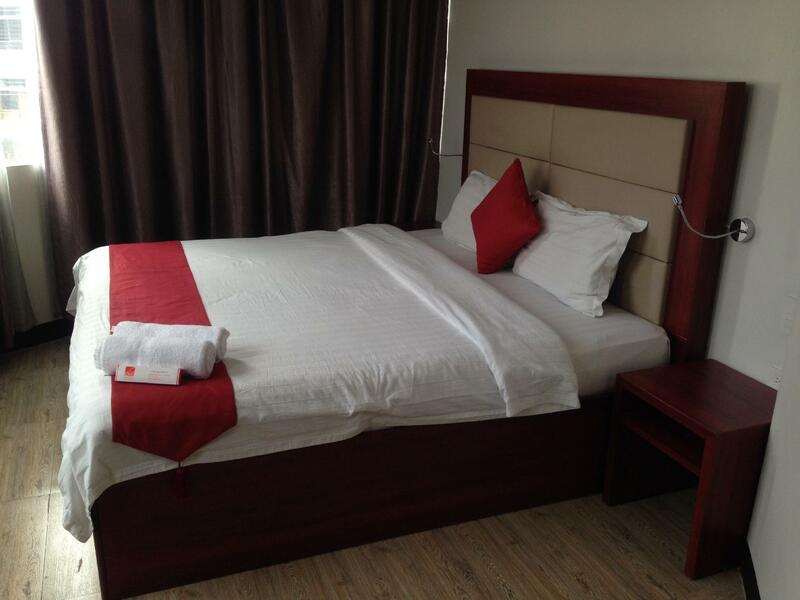 The hotel seemed promising as it is situated in the central part of the city. Since, we traveled for a business trip, we only needed decent beds and clean bathroom. But the hotel was not able to provide these basic needs. Upon check-in, they already advised us that they have a "no-refund" policy. We were intrigued with the reminder. Shortly, we realized why.. (1) foul sewer smell, (2) clogged drain for sink and bath, (3) bed bugs. We left after 1 night (and they, somehow, expected it). I hope the management could look at these problems. 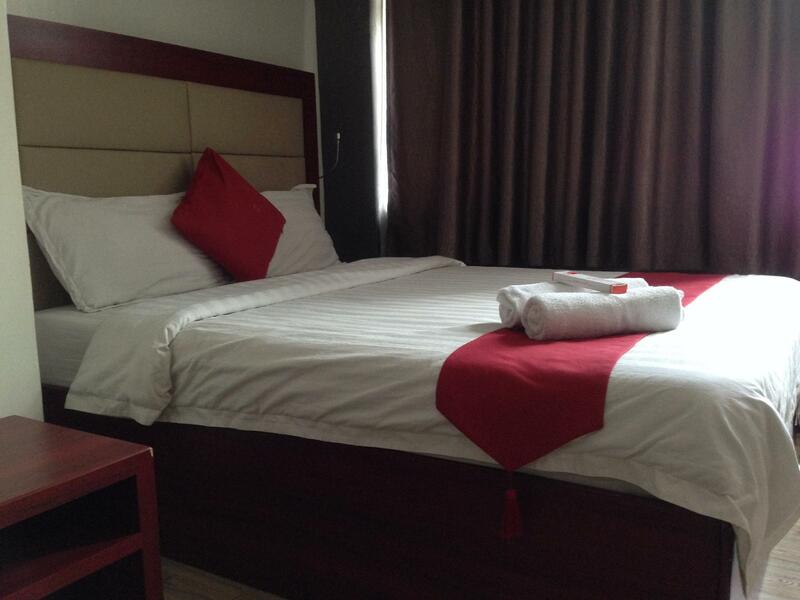 It is less than expected from a hotel in the city center when we arrive at night. It's dim and some parts needs renovation. But I would still recommended this hotel because the location makes it easy to find a restaurant, market, banks, and public transportation. The room is nice and comfy. Madaling kausap ang receptionist. Just call them on the phone if you need anything. Price is ok but it should really include a few more basic items cup/glass, kettle etc (admittedly when i asked for some things they did try and provide for me) I have stayed in a few of their rooms and they all had very mouldy privacy blinds in the shower/CR area. A simple thing to clean or replace but they don't. Experienced cockroaches in one room, used to that in philippines but usually the cheaper hotels. A good place to stay one night straight off from the bus and then onwards travels after that.!! There are a few things that prevented me from calling this the best value for money hotel. The most notable was the amount of street noise that we were getting in our room plus we were told that we can only order breakfast between 6-9am daily only to be told that tge cut-off was actually 12mn the day before the following day. And the boxes and mop that is stored pretty much in front of the basement elevator is an eyesore. Other than that, everything was fine. The hotel was clean, the staff was friendly and there's even a roof deck that you csn freely visit. Its your money's worth. 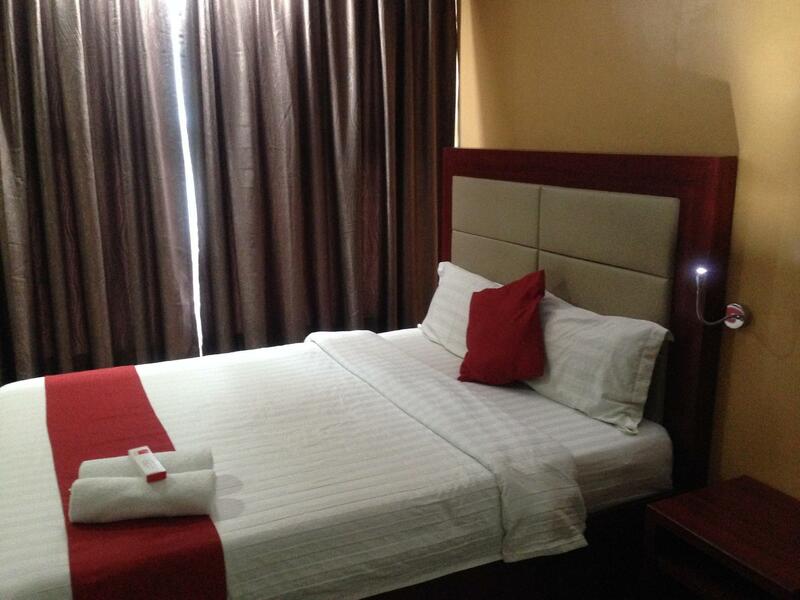 The size of the room is ok, aircon is good, tv, water heater. I just wish they have a percolator and free coffee in the room as it is but normal to take a hot coffee after waking up. The staff are pleasant tho this is the only hotel that I have experienced in so far as hotel accommodation that is so strict when it comes to checking out. Unlike big hotels in Manila or even abroad, they allow late check out say 1 hour but cherry midtown allowed for a maximum of only 15 mins. The place is strategic but if you have a car, their parking space is somehow limited. Easy to find. Located at the center of Olongapo. I booked for the cheapest room but when we got there the room that I booked has already been given to someone else. So we were upgraded to a nicer room without any additional fees. Not bad at all. Clean rooms. Bath just had a glass window. You can pull down a cover tho but it was full of molds. Two 24 hour resto near by. You can a jeep ride to the Freeport zone and go to Harbor point mall. A 5 minute walk. Or to shoemart. Parking is limited. But the guard is very helpful. For the price it is good enough. May come back. But I'm a beach person so??? The room was good for the rate offered online. Beds were comfortable but it will be greater to have 2 pillows instead of throw pillow. Cleanliness is fair. Staffs are amiable and smiling all the time, they are attentive to requests.LCD TV was a pro! It's just that the parking is limited but if you are a commuter traveler this is recommendable. Pros: good location, spacious room and bathroom, nice plated breakfast, bed with comforter Cons: Asked receptionist if breakfast can be served in the room but she said it can only be served at the mezzanine. The following day a staff knocked on our door early morning to deliver pur breakfast. While it was good that it can actually be delivered in our room, it just shows that there is lack of coordination among hotel staff and we were forced to wake up early. Limited parking space. Needed call reception to ask for free bottled water. Well, parking was hard to find but at leAst they have slots for 10 cars at most probably. Road ryt in front of it was under repair so it’s like a room for a lot of pests. I don’t know how long it’s been like that but the thing under repair is only d one in front of it. When u enter d room, surprise!! Cockroaches will welcome u. D room doesn’t smell clean at all! And d beddings, stained! It looks dirty. Could’ve checked put immediately after seeing d room if only I wasn’t tired from the trip. At least the staff were not so bad.. but I really suggest you find somewhere else to stay. It’s cheap but it might ruin your trip or so. Good luck!